Under her name sits the words 'True Innocense Is Dead'. A tattered, pale green army beret sits at this grave. It seems that under the name, somebody has added the message: "Loving friend and brother". The name on this tomb seems to have been crossed out . . no one really knows whose corpse is actually here. Under the name is engraved the message, "Grace Eternal". Blue bouquets of flowers are often delivered here by Orane Riviere...and now Atticus, who leaves violets there. Pink Roses are left there by Atticus.. Flowers and often given by Bravery Valentine and Eve Falcone. Blue and white flowers. On the grave it says "To be loved always" -Eve as well. This tomb sticks out quite a bit among the others - it is rather large in size, and has a marble bust in his image stuck right on top. Agan leaves flowers here once and a while. He even wrote "Apprentice to a fool" on the tombstone. Makeshift grave of rocks constructed by Kraven. Liimu arrived first at the graveyard. She didn't know why, but coming here, to this place of death, was relaxing to her. Outside, here, proof that the Earth Mother's reign was slowiy coming back. "I like this place...it's calm..."
she said, sitting down on the ground, looking at the graves. She didn't say anything besides that, and just continued to look at them, thinking to herself what was going to happent o everyone next. Her next steps to becoming more...free. Dantalion walked into the area after Liimu. He looked around noticing where she had taken him and smirked. It certainly was calm wasn't it? he thought to himself after hearing what she had to say about the place. He moved to take a seat on one of the graves rather than the ground as to not dirty his suit too much. He looked down at Liimu as she appeared to be relaxing. "I apologize for laughing at you earlier," he finally spoke with one of his brows furrowed. It was hard to tell if he was being serious or not due to the tone he always seemed to speak with. Liimu didn't bother looking at him. She could tell it was sincere, but still...it hurt her feelings. "It...is fine...we live in a world dominated by...those machines...but I...I will never accept it. I will never use it. It eats away at the soul...that's why I burn the towns...who...use too much of it...the souls are tainted...and need to be returned." she pulled her legs in closer to her chest, and let out a long drawn out sigh. 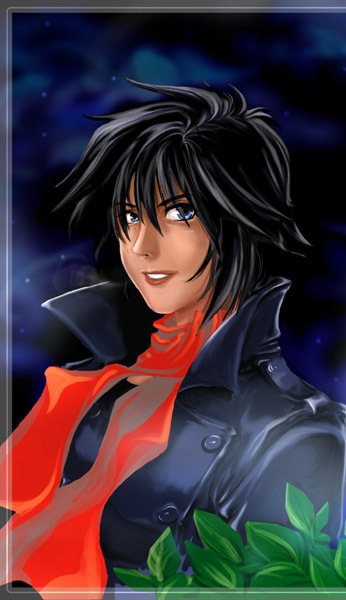 "That is my mission...and...I know I will not be able to cleanse all souls...a-and..
" she hid her face. "It's...scary..." she said in a very quiet voice, her body shaking. Dantalion leaned forward resting his elbow on his thigh and his chin on the back of his hand. "This is true and there seems to be no escape from it," he spoke softly. Even he was a victim to this "plague of technology" so to speak in the way she put it. Although he liked playing with said technology, he did his best to sympathize with Liimu's repulsion and fear of it. It was simply how she was brought up and what she had come to understand. How he was brought up was a different story entirely. After being locked away for so long, he had an insatiable lust for knowledge and a disassociation towards other people in general. Liimu was silent was a while, just letting him speak and such. She shook her head. she adjusted herself to not be so closed off. She looked at Dantalion. "I'm...trying to...understand it...but it's difficult. I just...as you said...I can't escape from it...I...need to...learn..."
" she looked a little distraught. "Could you...teach me?" Dantalion nodded when she claimed to be trying to understand it all. He tapped the side of him face, "I can most certainly help you there however, in order to understand it you must overcome your fear of it first," he replied with a smile. He leaned back some, "This pertains to all things. Although there is the initial fear of the unknown, one must first learn to accept its existence before they can truly begin to understand it," he continued on, a habit of his to do so. Liimu looked at the graves. Thinking about Dantalion's words. It was true...she can to accept it was real...but she would never like it...use it. Ever. The fact was, Liimu's fear dug very deep into her. she sounded almost defeated when she said such a thing. It wasn't very convincing, not to even herself. She pulled her legs even closer, unsure of what to say next in this conversation. Dantalion gave her a smile and let out a breath, "This whole world is wrong but we must still do our best to try adapting to it. It is the only way we are going to make it through all this." His head was tilted up towards the blotchy sky. He loosened his tie a bit, "Moments like this are nice. Where it's quiet and we are not up in arms or prepping for a fight." He looked back to her, "Wouldn't you agree?" He knew it was only a matter of time before they were to be off to their next fight. They were to help NOWHERE with these scattered fragments of information after all. Liimu looked back at the ground, taking a bit in her hand and rubbing it in her palm, like it was a security blanket. She smiled a bit. "Yes...I like...when it's quiet and serene. When everyone sleeps in the cathedral...I often will go to the roof and gaze at the moon...this is why I'm so tire in the morning." she let the dirt sprinkle back onto the ground. A breeze wafted by and made things shift a bit. The graves didn't move however. Everything remained as they should be...just...silent. It made her smile. Their souls had returned already, and were at peace. She wondered when it would be her turn. Dantalion looked down at Liimu from his headstone perch as she grabbed a handful of dirt, lovingly? He wouldn't press with any questions knowing it might be rude to ask. Whatever the case, he focused on what she had to say instead. "Do you now?" he said rhetorically with a smirk at her little confession. He pushed himself off the grave and dusted off the back of his suit with a few pats. "What was it like?" 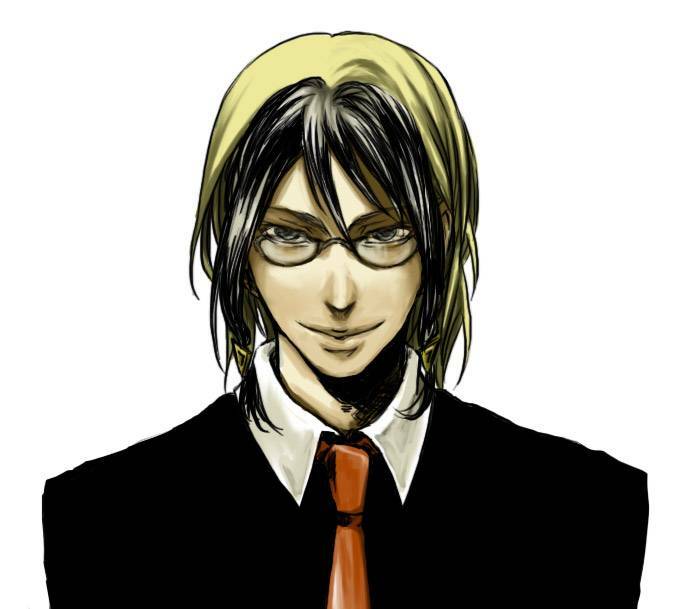 he inquired no longer looking at her as he messed with his necktie, "Your past I mean. Unless you'd rather not talk about it." He knew there were quite a few people who had pasts they'd much rather forget. The air around him grew heavy for a brief moment when he reminded himself of his own. Liimu looked at him, and then back to the ground. "My past? Hmmm...My father told me of my birth...I was born...cursed..."
she look at the ground, a small sad expression on her face. Her hands tensed and gripped onto her scarf. "My mother who gave me life...she was told by our tribe the stars wrote I was to bring doom upon the world. So...when she heard...I was thrown away. My Father did not believe the seer of our tribe...he found me...took me...and took me away..." she closed her eyes. What she had to say next intrigued Dantalion. He leaned forward looking down at her, "Is that so?" He didn't really believe her talk about the stars, curses, and the like however, it still interested him. After all, it was something he did not know. "And so what happened next?" he pressed to see if she would continue. Liimu nodded and continued to talk. "We found a different tribe...the midwife took care of me, my Father remarried...life was happy. I learned everything I could, hunting, skinning...I was...happy..."
she seemed to really tense at this point. "Then...we were attacked...raiders...didn't stand a chance. I was in a hole for 9 hours...for protection...I was scared, hearing the screams of my tribesman...and I couldn't move." her eyes seemed to twinkle in the light as she shed a few tears. The memory wasn't exactly a pleasant one. "When I emerged...they were gone...all dead...bleeding...the smell was overwhelming...I couldn't take it, and collapsed. Then the wolves came...and took me in...now...I'm here." she took a second to calm down, and wiped her eyes, putting on a brave face. The memory hurt...a lot...but she had to be strong, not wanting to show weakness. "What about you? I talked my fill...now you speak." Dantalion continued to listen in silence as Liimu went on with her story. He caught a glimpse of the emotion edging in her eyes. Then he leaned back after she had finished, "Ah yes, it's my turn now hmm?" He sat back down and folded his hands in his lap. He appeared to be mulling over his thoughts for a moment before chuckling softly...darkly. He would then begin his story. He let out a breath, "When I was very young, I lived with my mother and father. We were a wealthy family and a close one. I have everything I could possibly hope for which is very rare in this day and age. Such comforts were short-lived as what I really was kicked in. Betrayed by my own genetics, I was a small freakshow child. They couldn't stand the sight of me and so they hid me away. Locked within the confines of their mansion's basement. I didn't understand at the time and they called me a monster-child. They would then move on and have another son in my stead. A replacement if you will. I never saw the sun while I was locked away. It was just me in that dimly lit room. It was just me. I felt things beneath my skin. In my eyes. INSECTS in my Ears. In my skin. I was weak.. I heard them. I HEAR them. Those bastards.. haha. Feed me garbage. My nails. Eating my arms. I-I-, shh," he broke off and covered his grinning mouth. His eyes were wide before his closed them and took several breaths. After an extended pause, the man finally regained his composure, "Apologies, I didn't mean to trail off like that," he said looking completely as he was before. If there was one thing he was really good at, it was acting. Then continued on with his story this time no longer going into detail to keep himself composed, "Anyhow, I was trapped in that basement for years and grew feeble. My younger brother eventually got curious enough to go down to the forbidden basement door and a convinced him to let me out. Our parents didn't take kindly to it and ended up wanting us both dead. I managed to kill them first. After this, my brother found a place for me to recover as he took up the household and name as the only accepted heir. I've been floating around ever since then ended up finding myself here," he said with a soft smile. Evidence of his previous breakdown no longer present in his expression. Liimu listened carefully, closing her eyes and letting her ears be her main sense. She could feel that breakdown in her body, being a psychic and all. It was tense, sorrowful...horrifying. She looked at him as he continued, and once he was finished, she scoot over and hugged him. she mumbled, resting her head on his shoulder, trying to convey some sort of comfort. Being locked away, shunned...she only knew a bit of that...but not to his extent. "We were both cursed...shunned away...only I had salvation. My apologies." she said, and pulled away, sitting down next to him again. Dantalion sat quietly unsure of how she would take his story. He expected perhaps a nod then they'd move on but he was not expecting what would happen next. His eyes widened and his body stiffened when he suddenly found himself caught in a hug. He looked down to see Liimu speak to him while in the embrace. Then she let go and rested her head on his shoulder. "A-ah, yes," he replied as she said they had both been cursed. Was being what he was something to be considered a curse. Most would think so however Kraven had told him otherwise this morning. He let himself relax as he looked down at her. He watched her as she pulled away, "There's no reason for you to need to apologize," he said with a bit of a smile. Liimu nodded and then there was a bit of an awkward silence between them. Neither spoke, moved...anything. Finally Liimu spoke up again. "Kraven told you that you were special right? Someone of worth yes? When I said cursed...I didn't mean it in the sense you thought." she looked at him again. "I meant as in we were branded as outcasts before it was in our control, labeled before we had a say. But then...we finally found out where we belong...and we're trying to play catch with the part of our life that we lost in the beginning. We are seen as cursed to the public...we always will be...but all we are is different...some of us..." she mumbled that last part, and looked back in front of her. "Sorry if I was unclear." After an extended pause, Liimu broke the silence. "Hmm?" Dantalion looked over to her as she explained further what she meant by cursed. He shook his head, "Oh, you're fine. Thanks for the clarification." He looked up with a smirk on his face, "I suppose that makes us two of the same hmm?" He shook his head again, "Ah, disregard that." He looked back at her with his lips curled in a smile, "If there's one thing I learned after gaining my freedom from my little hell, is that I had no reason to feel disdain for what I am. Instead, I have learned to use this to my advantage and manipulate my environment to work in my favor," he chuckled softly at some distant memory. "We can do this," he said in a reassuring tone and grinning with his needlepoint teeth. In a way, it also sounded like he was saying this to himself as well. Liimu listened and nodded. She was listening, but sort of lost in her own thoughts. What did Dantalion mean by that? They were the same? She got that they were both outcasts, but...she was different. Dantalion learned to accept himself as what he was, while she still thought the story she told, her past. "The stars never lie...maybe...I am cursed..."
she thought, losing herself for a moment, but then coming back to him mumbling something. Something about them doing this? She could feel the emotion in his body, she knew he spoke of someone who wasn't here. Someone away. Liimu felt a little pang of jealousy, just a bit, nothing overpowering. While Dantalion's story was more tragic indeed, he at least had a bit of family. The brother. If Dantalion needed someone, she bet he would be there. She herself...only had wolves, no people. Her real tribe exiled her, and then her family was killed. And she always did feel a bit on the outs with the other Deathworshippers, since she was one of the newer ones. All this started to swirl in her mind, as she started to contemplate that maybe she didn't belong anywhere...not because of the people or anything...but because of her own fate. The stars. Slowly, she looked up at the sky, seeing little spects in the twilight. What had she done to them to say she as cursed? She sighed, still looking up. "I-...I suddenly don't know what to talk about..." she said softly, closing her eyes to feel the breeze against her skin. A long silence hung in the air after Dantalion spoke. He allowed it to linger as the cool air whipped around and caused the charms in his hair to jingle. 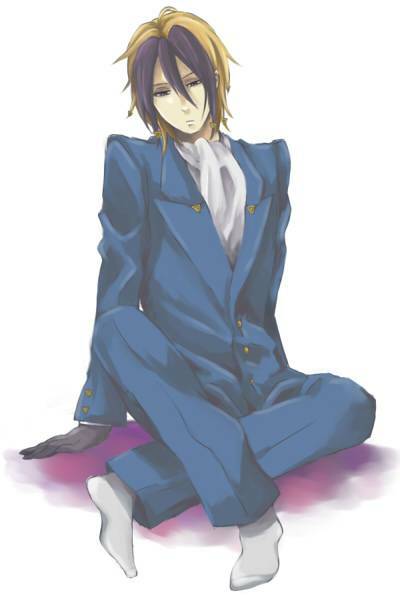 He stood back up, straightened his suit, and dusted his pants once more before looking down at Liimu. She appeared lost in thought before admitting that the conversation between the two of them seemed to finally come to a close. "Fu fu~," he chuckled softly, "Well then, shall we be off?" he asked not sure what to do next. He was pretty sure that they could find some entertainment elsewhere. Then he also remembered the announcement to meet at skull's past. He thought about it for a moment then kept quiet just to keep things interesting. Liimu snapped out of her thoughts, and looked at Dantalion. she got up, and looked at the man curiously. "And go where? Back to the cathedral?" she asked, her tone a bit softer then it was before. She still had those thoughts in her brain, and it wasn't very pleasant to her. Dantalion chuckled lowly, "I see to reason for us to linger here any longer. Come! There's much more interesting things than this solemn place," he said enthusiastically. In all honesty, he did not care where they went or if she even wanted to follow. He took out a small handheld device that appeared to resemble a remote and pressed one of the buttons on it causing a dim light to flicker on it. 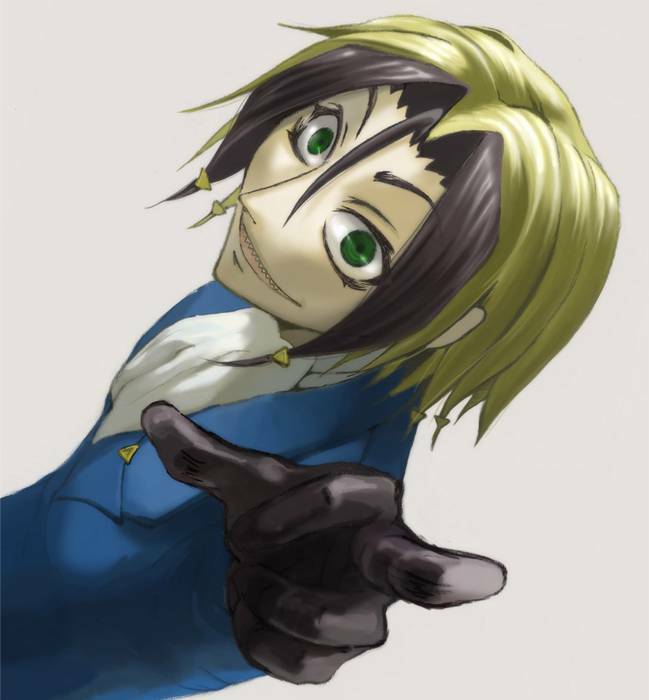 Returning the device to his coat pocket he continued to speak, "It doesn't matter to me where we go, I'm just looking for a good show, fu fu~" He was smirking now and slowly grew to a wide even smile. Any moment now. Liimu looked confused, but then looked scared when he pressed some sort of button. She, in fact, looked horrified. She held herself tightly. "What...what are you doing? What is going on?" she asked, clutching her clothes. She didn't trust that thing he had. "Where...are we going? Dantalion, answer me!" she was absolutely horrified at this point, shaking. Dantalion grinned wider at the sound of her panic then spun around with his back to her chuckling lowly. Then out from the horizon came into view his beloved flying vehicle. It came to a stop just outside the graveyard scattering dust into the air as it landed. Then the hatch opened beckoning its guests. "Let's tear off that band-aid shall we?" he said slyly. He looked over his shoulder before spinning around to face Liimu and holding out an open hand towards the machine, "Our esteemed guest goes in first," he chimed anticipating her reaction.